At the end of October, we headed up to the Asheville area to check out the leaves. After spending a morning riding through the mountains and finding ourselves at Looking Glass Falls and Sliding Rock, we headed to Brevard with one thing in mind. Eating? Yes, but that wasn't our main objective. 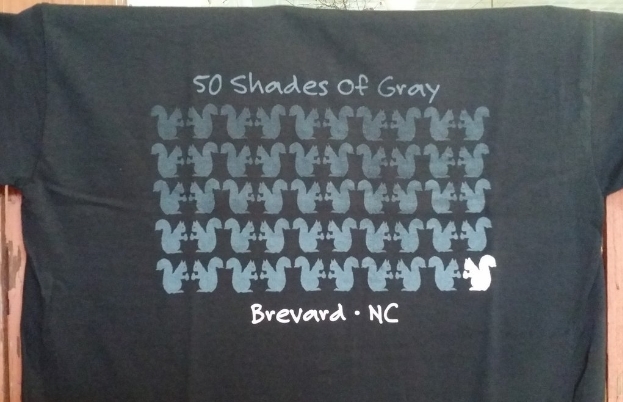 We went looking for white squirrels, the most famous of all the rodents of Brevard. So after lunch at Maya's Grill, we stopped at a store next door to ask about the white squirrels. We were told that white squirrels make up about 40% of the Brevard squirrel population, so they weren't that uncommon. 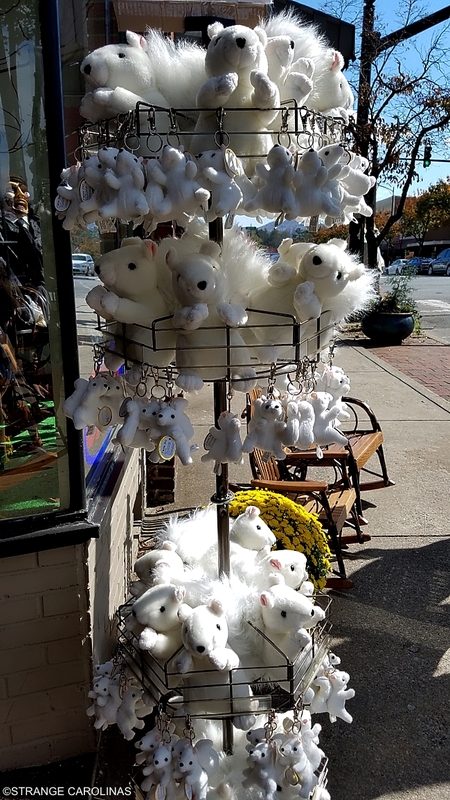 The store proprietor told us the white squirrels could be seen about a block or two from downtown and all over the campus of Brevard College. However, we were also told the squirrels only come out in the mornings. This seemed fishy. Armed with possible locations, we went searching for the white squirrels but didn't find any. We headed back downtown, where we found plenty of white squirrels. 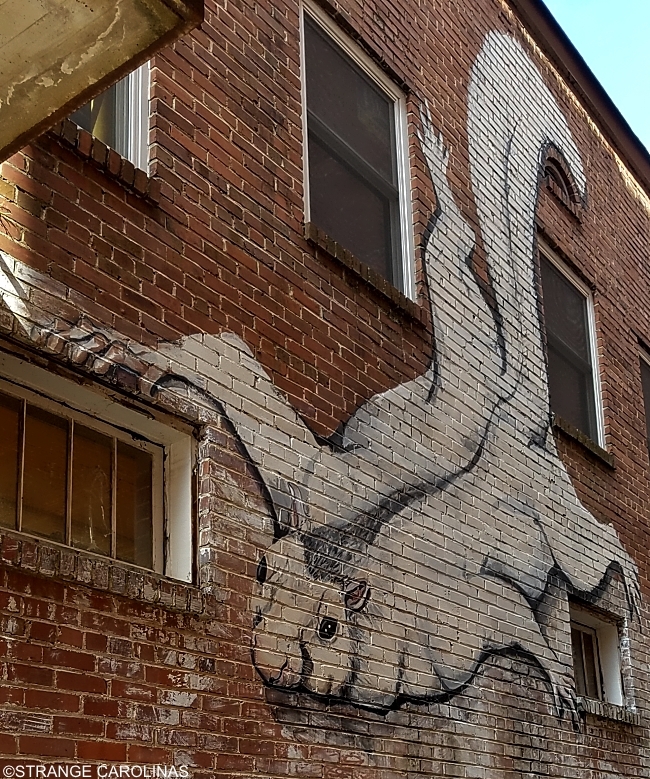 We found a mural of a white squirrel. 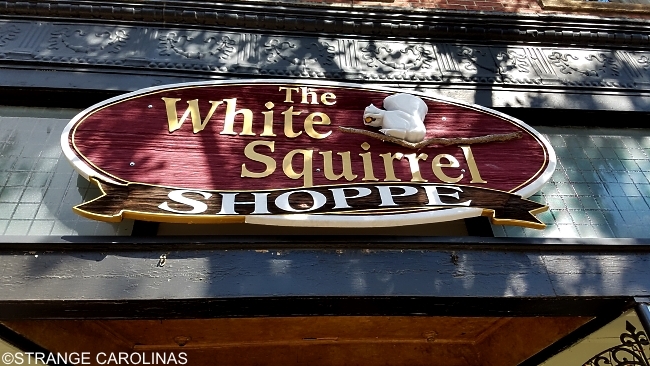 We found a store called The White Squirrel Shoppe. The White Squirrel Shoppe sold white squirrel puppets, dolls, and keychains. It also sold white squirrel t-shirts. 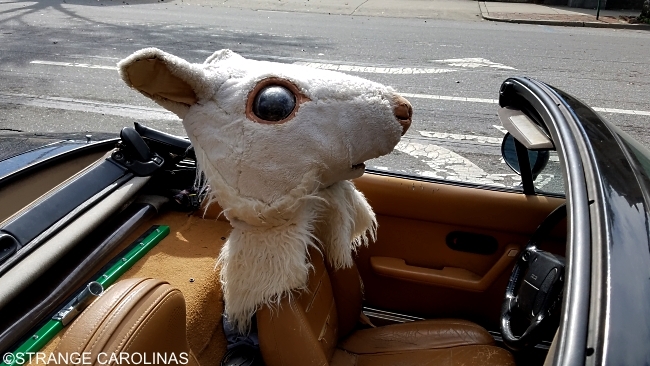 Strangest of all, we found the head from a white squirrel costume on a car headrest. 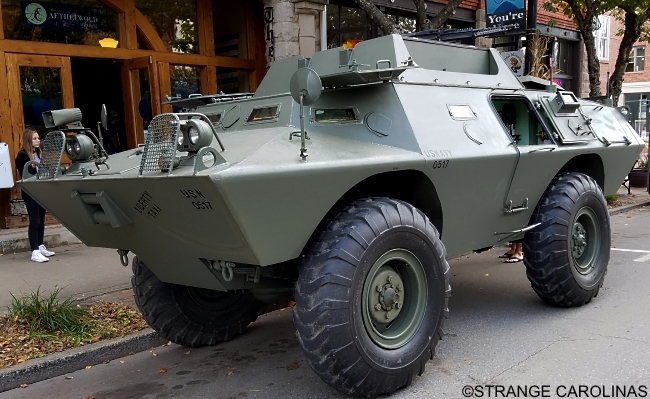 We found a town that does a lot to publicize the fact that it has white squirrels, down to the fact that it hosts a yearly White Squirrel Festival, but we didn't find any actual white squirrels, so we headed to Brevard College to look around. There are no white squirrels. Here's the rub: we didn't see any white squirrels, but we didn't see any dead white squirrels either. 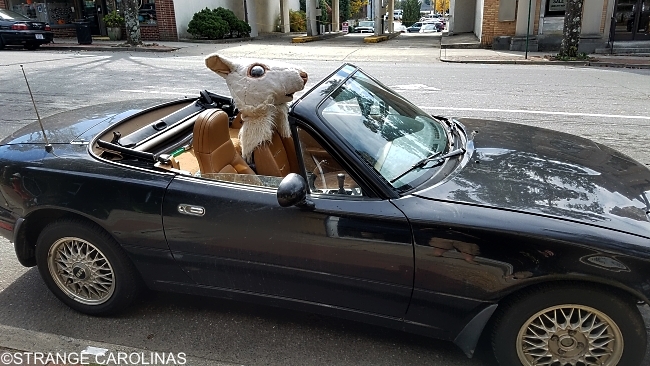 Drive around your town and tell me how many dead squirrels you see on the road after five minutes. If white squirrels really exist in Brevard, you would've thought we'd have seen at least one dead white squirrel somewhere along the way. Nope. And that's when we stopped asking questions. LOL the white squirrels are real. I've laid eyes on them on campus. Were they as plentiful as people claim?